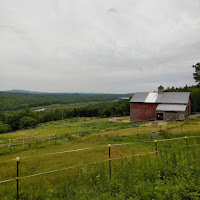 Good morning from Maine where the sun is shining and it is a perfect day to play outside with daughters and my dogs. 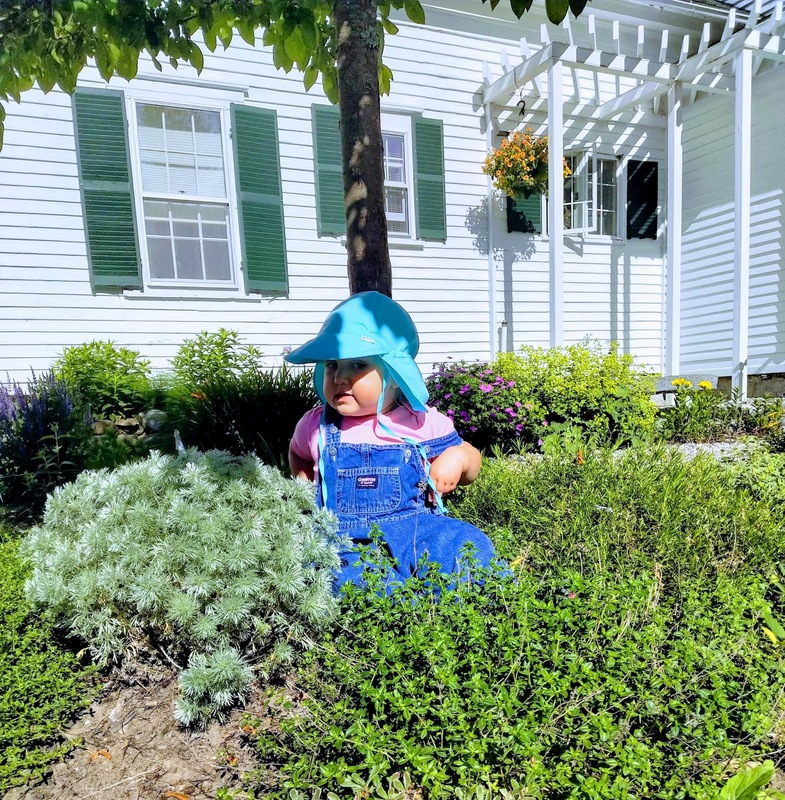 Before they're awake and we're bounding out the door, I have this week's week-in-review to share. 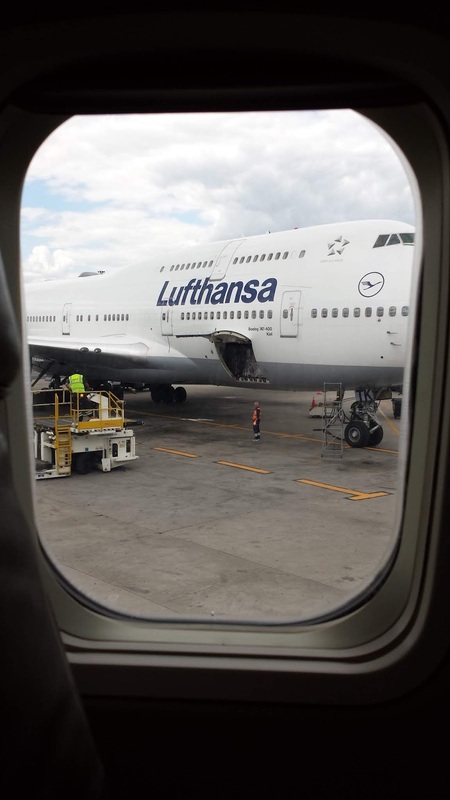 This week the annual ISTE conference was held in Chicago. I wasn't able to attend this year. 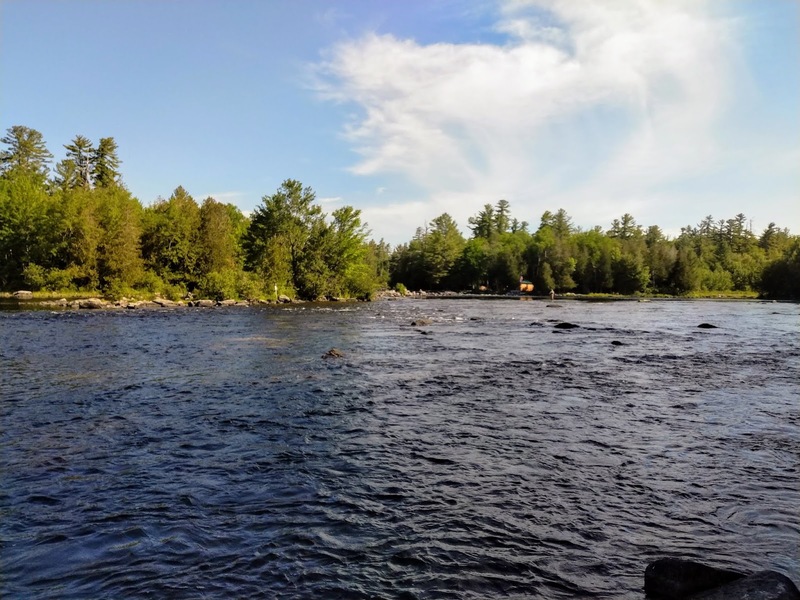 Through the zillions of press releases that I was sent and through the #notatiste sharing of so many teachers and administrators, I was able to keep up with most of what was announced during the conference. The one thing that can't be replicated online is the in-person conversations with other passionate educators. Hopefully, I'll get to catch up with many of you at next year's ISTE conference. 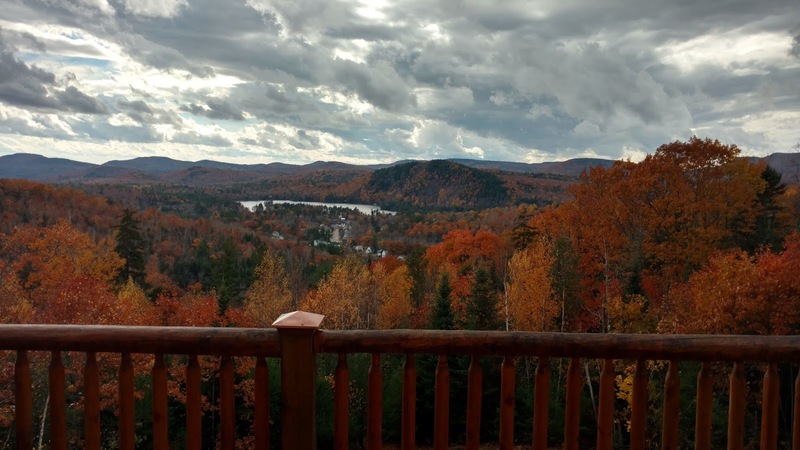 Earlier this week I received an email from a reader who was seeking clarification on the meaning of "not filtered by license" in the Tools menu in Google Images. I made the following video to answer that question and to show some other places to find free images to use in multimedia projects. As many of you know, Practical Ed Tech is the site through which I offer professional development webinars. I host those webinars on a regular basis throughout the school year. 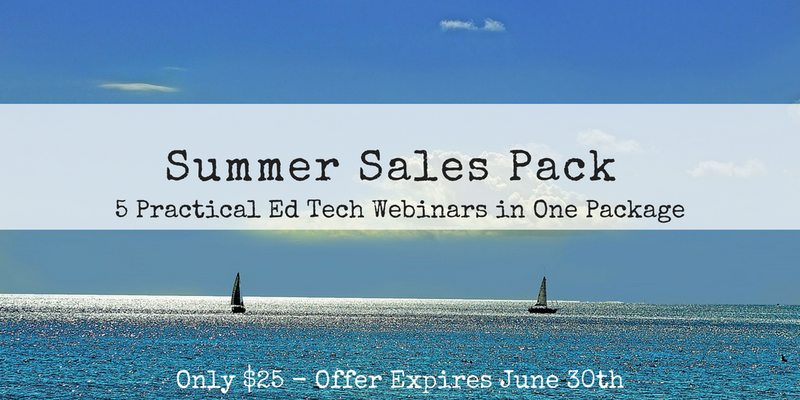 For the last week I've offered the five most popular of those webinars in a summer sales pack. Today is the last day to get all five of those webinars in one package for $25. If your students are like mine, at one point or another you've asked for volunteers and not had any students raise their hands. In that situation using a random name selection tool is an easy way to choose students to call on. And for those times when all of your students raise their hands for something fun like being the line leaders, the a random name selector is a convenient tool to have at your disposal too. Here are three good random name selection tools. 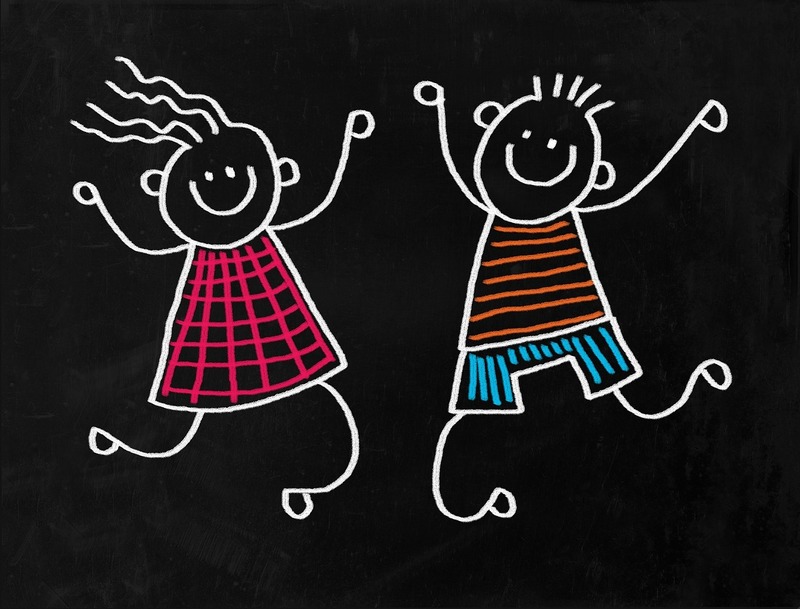 Developing persuasive writing skills is a process that students start in elementary school and continue to develop through high school and beyond. Read Write Think offers a good interactive guide that can help students craft a good persuasive essay. 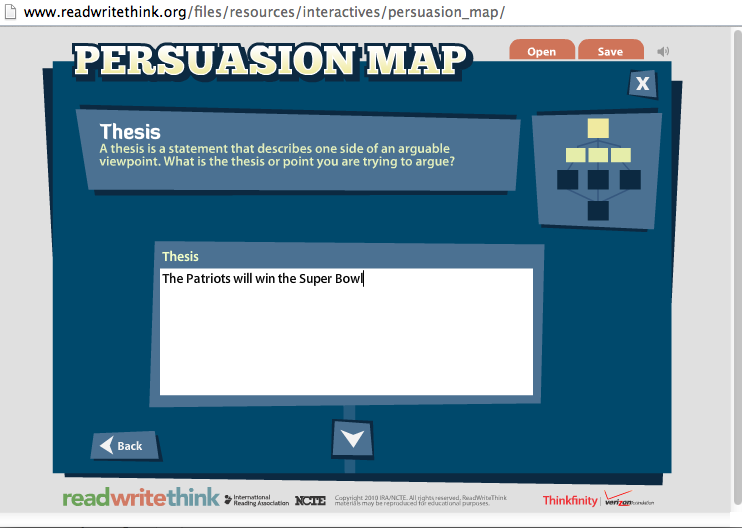 The Persuasion Map asks students to start with a thesis statement before walking them through developing support for that thesis. Students can print their persuasion maps or email them to you. Using Read Write Think's Persuasion Map won't replace the need for your instruction, but it could be helpful to students who need a little assistance after your lesson. 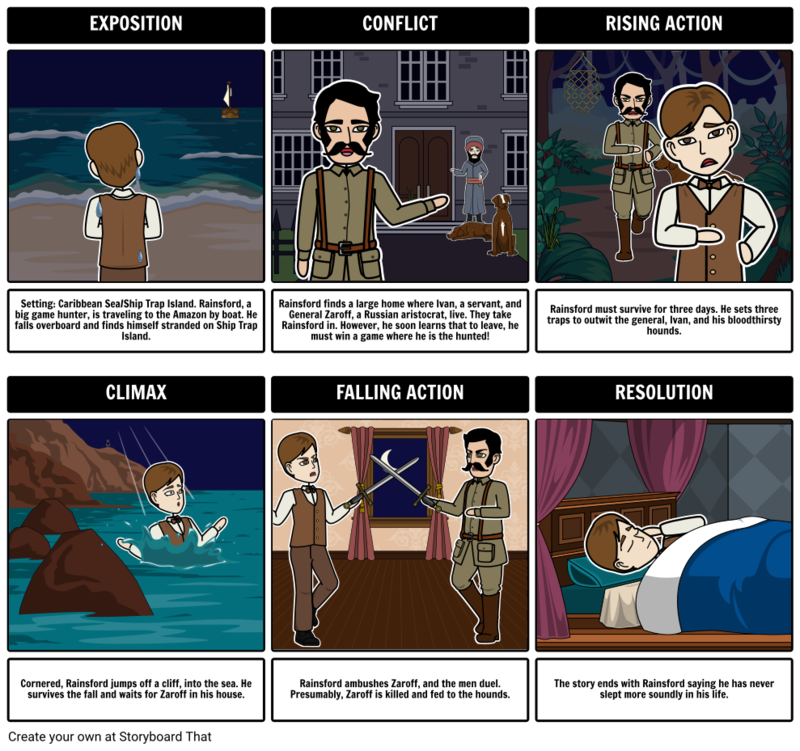 RWT offers a number of lesson plans that incorporate the Persuasion Map. You can find those lessons here. Do you remember when a cup of coffee didn't cost $3? Or when ten dollars bought you enough gasoline to drive for a week? How about buying a pack of baseball cards for 25 cents and getting a piece of gum in the pack too? I remember those days. My money seemed to go a lot farther then. Or did it? You can figure out the answer to that question and other economics questions by using the Measuring Worth calculators. 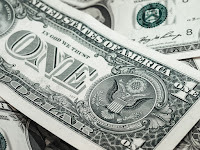 Measuring Worth provides an extensive series of data sets and calculation tools that students can use to compare the purchasing power of a dollar over time and around the world. Measuring Worth is available in four currencies. In addition to the calculator tools, Measuring Worth provides a series of customizable graphs of historical economic data. Using these graphs you can generate visuals of changes in purchasing power and GDP over time. Measuring Worth provides excellent data sets, calculators, and graphs that students can use in an economics course or a consumer mathematics course. A simple assignment that you could have students do with Measuring Worth is to have students pick their favorite food and figure out how much it would have cost when their parents were the same age. Students could also ask parents how much their first car cost and calculate what that cost would be today. If you're looking to improve your search skills this summer or you want to find new ideas for teaching search skills, check out Power Searching With Google. Power Searching With Google was hosted by Google back in 2012. With the exception of the live Hangouts on Air that were held during the course, all of the course content is still available. There are six modules within the course. Each module has three to six sections. Each section has a video and a practice activity to try. The video lessons within Power Searching With Google feature Google employees Dan Russell and or Matt Cutts (no longer a Google employee) explaining how each power search concept can be used. The video from lesson 3.1 is embedded below. 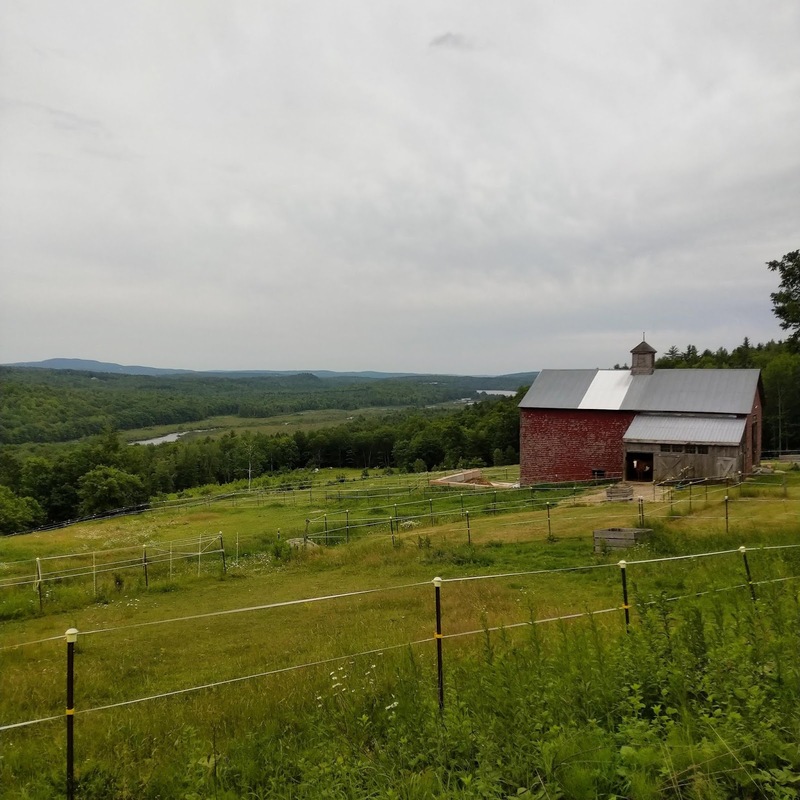 It's a rainy day here in Maine and after a little trail run with my dogs, my feet were soaked! My Smartwool socks keep my feet relatively warm, but do nothing to keep them dry. This scenario always makes we wonder about two things. First, why don't my Smartwool socks shrink when I wash and dry them? Second, why don't sheep shrink in the rain? The answer to the first question is that the socks aren't 100% wool. The answer to the second question is found in a clever MinuteEarth video titled Why Don't Sheep Shrink in the Rain? This morning on the Practical Ed Tech Facebook page I had a question from a reader who was looking for an alternative to Padlet. My recommendation was to take a look at Lino. On Lino you can create digital boards to which you can add sticky notes that contain text, images, videos, or document attachments. Notes containing video links will play the video within your Lino wall. Images can be uploaded to your notes. And you can attach document files to your notes for other people to view. In the following video I demonstrate how to get started using Lino and how to embed Lino board into a blog post. Photo Roulette is a fun little game from Library of Congress. The game shows you a randomly selected pictures from the LOC's digital collections and you have to guess the year in which the picture was taken. You have ten guesses before you're out of luck. After the submission of each guess you're given a hint as to which way to make your next guess. For example, if you're first guess is off by being ten years too early, Photo Roulette will give you a clue like "turn the calendar." When you do make a correct guess, you'll be able to see the image source and read more about the context of when the image was taken. 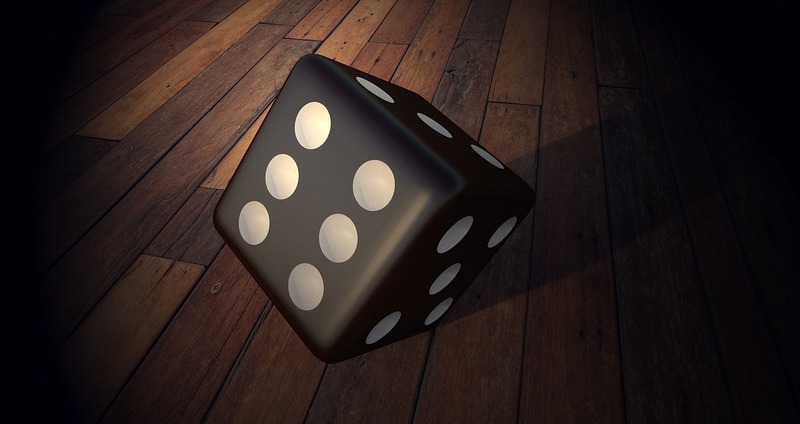 Photo Roulette could be a fun activity to use in a history class. Encourage students to use some context clues and their knowledge of history to make educated guesses. If you have the technical chops, you can use the code for the LOC's Photo Roulette to make your own version of the game. Throughout the year I offer many professional development webinars on PracticalEdTech.com. 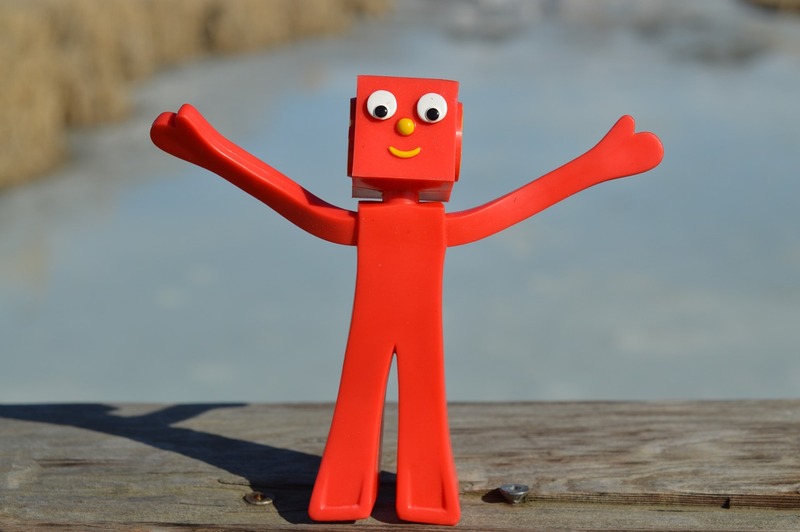 The sales of those webinars help to keep this blog running. This week I've been running a sale on PracticalEdTech.com webinars and many people have taken advantage of it. The sale runs for two more days. In this summer sales pack of webinars I have included my most popular webinars of the last six months. You can watch these webinars whenever you like and as often as you like. Purchased individually these five webinars would cost $100. But during this sale you’ll get them all for just $25! Over the years I've written many blog posts about using storyboards in a variety of classroom settings. I've even hosted webinars on the topic. But until today I never wondered about the origins of storyboards. That changed when I read Aaron Sherman's What is a Storyboard? In What is a Storyboard? Aaron Sherman, founder of Storyboard That, explains the origins of storyboards and provides examples of how they're using in film production, in business, and in classrooms. Did you know that Gone With the Wind was the first live-action movie to be completely drawn out on storyboards before filming? That must have been a lot of storyboards! And for a complete overview of how you can use storyboards in your classroom, watch the recording of this webinar that I hosted last fall. 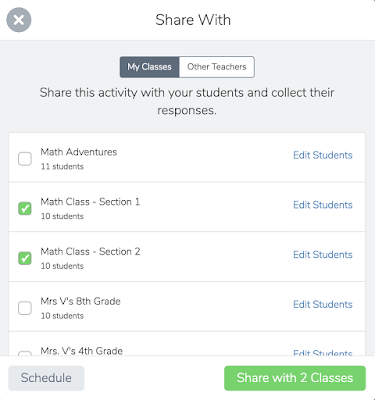 Earlier this week SeeSaw unveiled a new activity library for teachers. 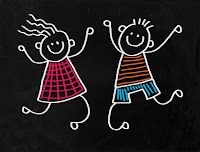 The new library contains more than 1500 activities that you can assign to your students in your SeeSaw classroom. 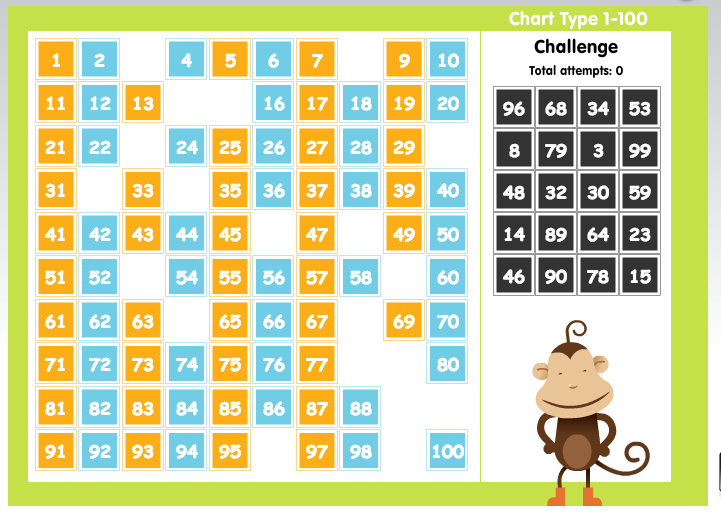 You can use the activities as they are written or modify them to meet your students' needs. 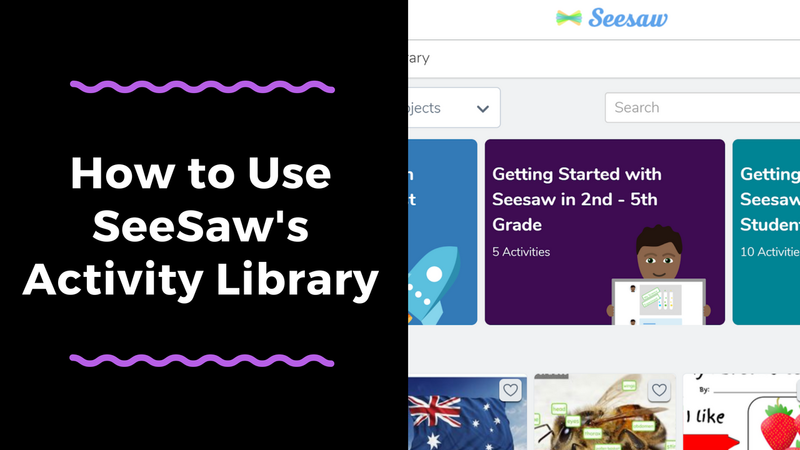 In the following video I demonstrate how to access activities in the SeeSaw library and share those activities with your students. More Ways to Add Content to Book Creator Projects - Coming Soon! 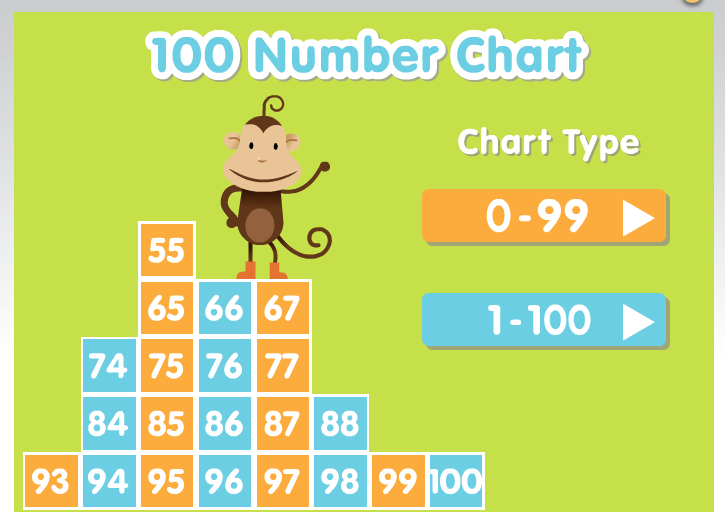 Thanks to Amy Burns I just learned about a great, new feature that is soon to be available in Book Creator. The new feature will let you embed content from third-party sites into your Book Creator books. Some of the many third-party sites that will be supported in this new feature include Desmos (an online graphing calculator), Google Maps, YouTube, Vimeo, Google VR tours, and Flipgrid! Book Creator was already one of my two favorite tools for making multimedia ebooks. This new feature makes it even better in my book. I can see using this feature to have students include VR tours that they make with Google's VR Tour Creator in the stories that they write in Book Creator. During the ISTE conference this week Microsoft showcased many features of their varied education products. If you, like me, were not able to attend the conference, you can get a full run-down of all of the updates in What's New in EDU. Here are the updates that stood-out to me. Microsoft Forms provides a good platform for creating quizzes and surveys. You can now add your Forms to assignments that you distribute to students through Microsoft Teams. If you haven't tried Microsoft Forms, watch my video to learn how to get started. It has some features that I think you'll like. This was actually announced a couple of weeks ago, but it is worth sharing again. You can attach rubrics to assignments for students to see before and after completing an assignment. Equally important, you'll be able to grade an assignment using that rubric without having to open multiple tabs or windows. From Immersive Reader to Dictation, Microsoft tries to make their products as accessible as possible to everyone. To that end, Dictation is now available in the Win 32 versions of PowerPoint and Word. This is in addition to all of the other places that Dictation is available including the Windows 10 version of OneNote. Microsoft Forms has an excellent math feature. You can use this feature to create math quizzes in Microsoft Forms. After creating your quiz you can add that form to an assignment in Microsoft Teams. If you're lucky enough to have the budget for LEGO MINDSTORMS EV3, you'll want to check out Microsoft MakeCode for LEGO MINSTORMS EV3. MakeCode is a drag-and-drop, block-based, programming interface that students can use on any computer to program their robots. Prior to ISTE Microsoft announced some other product updates including expansion of Immersive Reader functions and page-locking in OneNote class notebooks. In 2018 I have been using OneNote as my primary tool for saving bookmarks and quick notes. Previously, used Google Keep for all of my bookmarks and notes on my Android phone. I made the switch because I found OneNote's Android app to have more features that I use on a regular basis. The feature I use the most is bookmarking links. 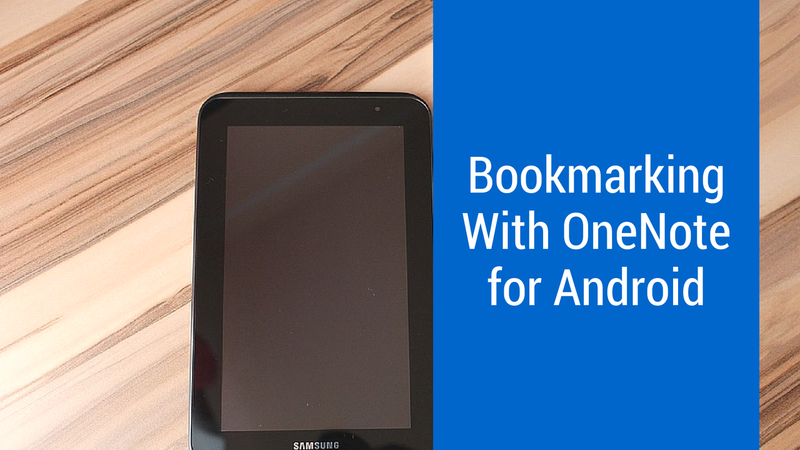 In the following video I demonstrate how I use OneNote to bookmark links on my Android phone. The week of the annual ISTE conference is when many of the biggest purveyors of technology products unveil their latest and greatest offerings. 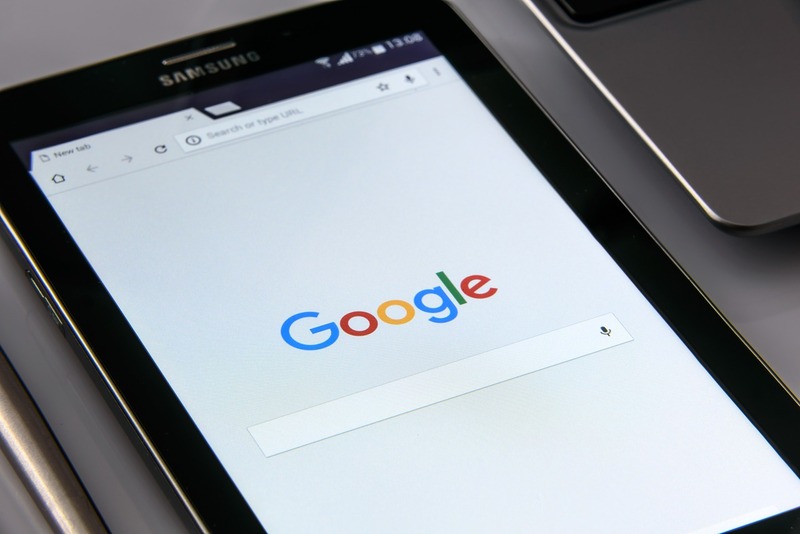 Google is not an exception to that rule and so uses this week to showcase their latest product updates. This week they've introduced five Google Classroom updates. Some three of these are minor improvements and two are significant improvements. First, Google Classroom now has a section called "classwork." The Classwork section is where you'll now place assignments and reference resources for your students. In the Classwork section you can organize materials according to unit of study or topic instead of just organizing materials by date. A header of Classwork will now appear at the top of your Google Classroom page. The second significant update is the option to create and post Google Forms quizzes directly within Google Classroom. When you select "Create" in the new Classwork section you'll now see an option to make a quiz. And if your students are using school-managed Chromebooks, you'll be able to lock them into the quiz until they submit their final responses. The purpose of adding the Classwork section to Google Classroom is to make it easier for students to find assignments and reference materials. In adding the Classwork section Google made the Stream section a little more compact and streamlined to help students see announcements and comment on discussion posts. Settings for editing the class description, class code, and controls over student postings are will now be found in one menu. Managing co-teacher, parent, and student access to your Google Classroom will now be done under one People menu. As with most updates to G Suite for Education, these new features might not be visible in all domains right away. Windows Movie Maker is no longer available for download and Microsoft now recommends using the video creation tools that are built into Microsoft Photos. 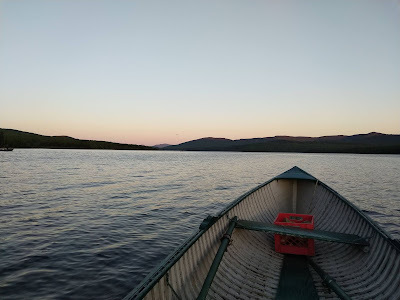 In Microsoft Photos you can create videos that feature your pictures or other pictures that you have permission to use (Creative Commons licensed or Public Domain). At the most basic level the video creation option in Microsoft Photos lets you arrange a set of pictures in the sequence in which you want them to appear in a video and then add music to play in the background. That's exactly what the old Movie Maker program did too. But Microsoft Photos offers more video creation and editing features. 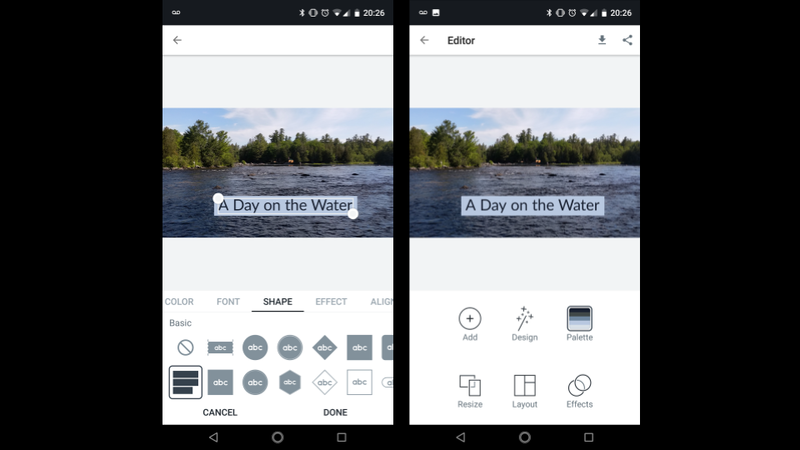 You can set the duration of display for each image on an individual basis, add titles and text to each image, add narration, and even add 3D effects to your videos created in Microsoft Photos. Microsoft News Centre UK recently published a helpful set of tutorial videos that can help you create videos in Microsoft Photos. I've embedded a couple of those tutorial videos below. If your school uses Windows 10 or your students use Windows 10 on their personal computers, Microsoft Photos could be a great tool for students to use to create videos. The fine controls over timing make it a better choice than some automated audio slideshow video tools without introducing the complications of using full-fledged video editors. The addition of a measurement tool in the Chrome (browser) and Android versions of Google Earth was one of the many things that Google announced yesterday. I'm not sure what took them so long to add this because it was always a feature in the desktop version of Google Earth. 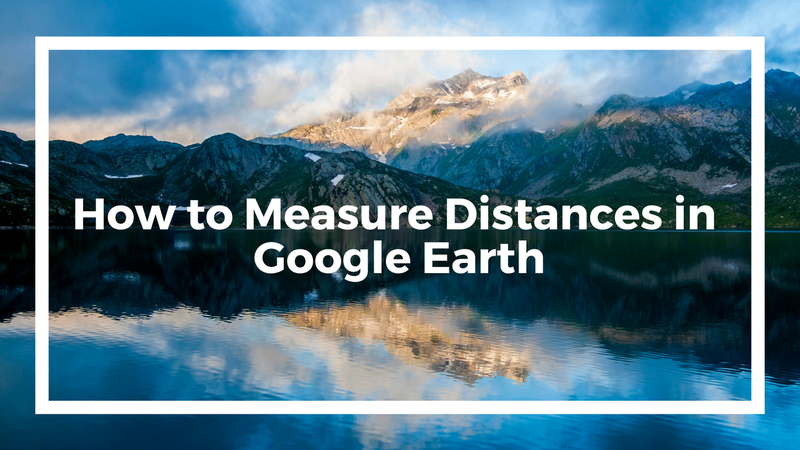 In the following video I demonstrate how you can measure distances in the Chrome version and in the desktop version of Google Earth. The video also shows you how to change the units of measurement in both versions of Google Earth. Whether you want to make your own presentations look better or you want your students' presentations to look better, you should give Beautiful AI a try. One of the many things that Google announced to coincide with the ISTE conference was the addition of an option to add audio to virtual reality tours created with Google's VR Tour Creator. This is an update to the VR Tour Creator that was launched just a couple of months ago. This update lets you add audio to each of the scenes and points of interest within your VR tours. Watch my new video to learn how you can create a VR tour that includes audio. 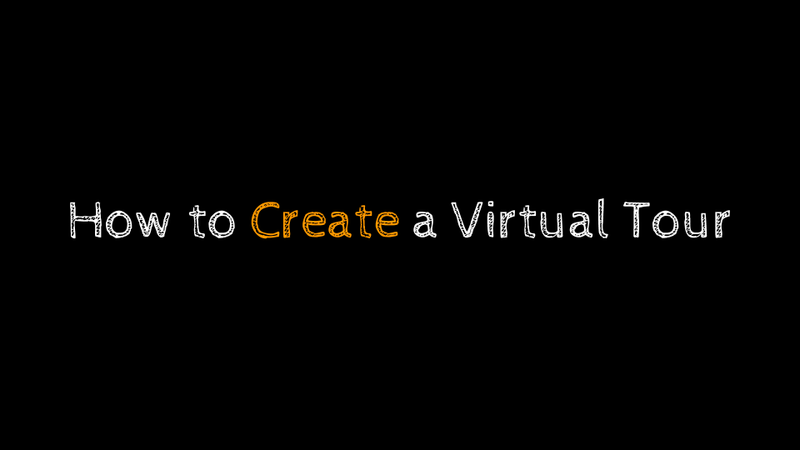 As is mentioned in the video, you need to record your audio in a program outside of the VR Tour Creator, save it as an MP3, and then import it into the tour. I used Vocaroo to record the audio used in the demonstration. Making their own VR tours could be a great way for students to show what they have learned about places they studied in a geography lesson. Think of making a VR tour as an alternative to a traditional PowerPoint presentation. Students can share their tours with their classmates to view in virtual reality viewers like Google Cardboard. Two weeks ago Kahoot added a new game creation capability to their free mobile apps. This week at ISTE they're previewing a new user interface for teachers. The new user interface is based on the one that is now available for Kahoot business users. The new interface features improved collaboration options and improved results reporting. Watch the following video to get a sense of what the new Kahoot interface will look like. A firm date has not been announced for when the updated interface will be available to teachers. The press release that I received simply said, "by late 2018." Distance measurement has been a feature of the desktop version of Google Earth for as long as I have been using it. So I was surprised when it wasn't included in the browser-based version of Google Earth that was launched last year. This morning Google announced that a measuring tool has finally been added into the browser-based version of Google Earth. A measuring tool has also been added to the Android version of Google Earth and will soon be available in the iOS version of Google Earth. Google's announcement about the new measuring tool states that it is available now in Chrome (browser) and Android versions of Google Earth. However, as of 11:20 Eastern Time I don't see it in any of my accounts. Once I get a chance to use it, I'll publish a video tutorial on how to use it. The measuring tool in the desktop version of Google Earth has always been useful in developing lessons that incorporate math and geography concepts. Tom Barrett's Maths Maps has always been a great source of inspiration on that topic. Now that a measuring tool will be available in the browser version of Google Earth teachers whose students use Chromebooks can avail themselves of some of the ideas that Tom has shared in Maths Maps. Good evening from Maine where the sun has set on a nice summer day. The week was full of great summer weather and none better than the actual first day of summer on Thursday when my daughters and I played outside all day except for nap time. 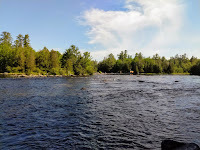 I hope those of you in the northern hemisphere are also enjoying summer like we are here in South Paris, Maine. I'm not going to be at the ISTE conference this year. But I've already had virtual meetings with many vendors who are announcing new products and product features during the conference. I'll be publishing about those new features throughout the next week. 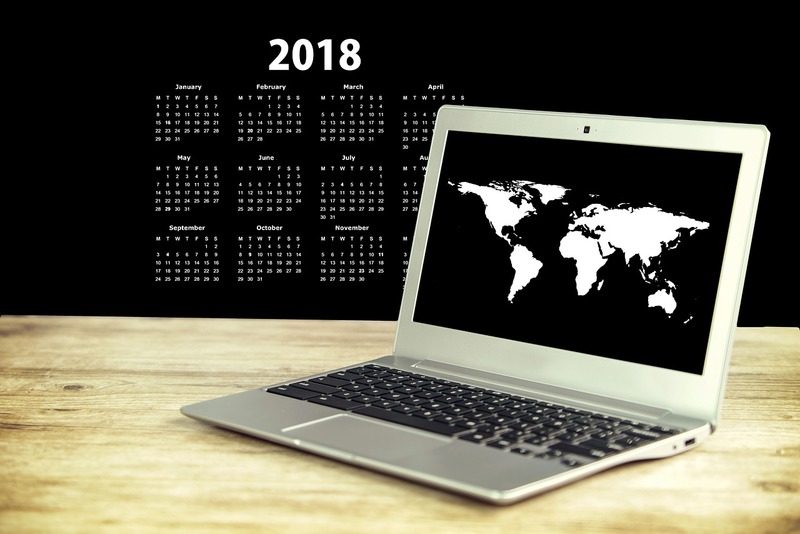 And you can also follow ISTE happenings through a variety of online channels outlined in this article by Kathleen Morris. If your summer plans include going to the beach, you may be interested in a new video from Reactions about how seashells are made. In How Seashells Are Made viewers learn that seashells are made of 95% calcium carbonate and 5% protein and sugar. The video doesn't stop with just listing the components of seashells. By watching the video viewers can learn how calcite and aragonite are layered in seashells to create a hard shell. I've never been a "lay on the beach" kind of person. I'm the person you'll find wandering and looking at neat things that get washed up on shore. 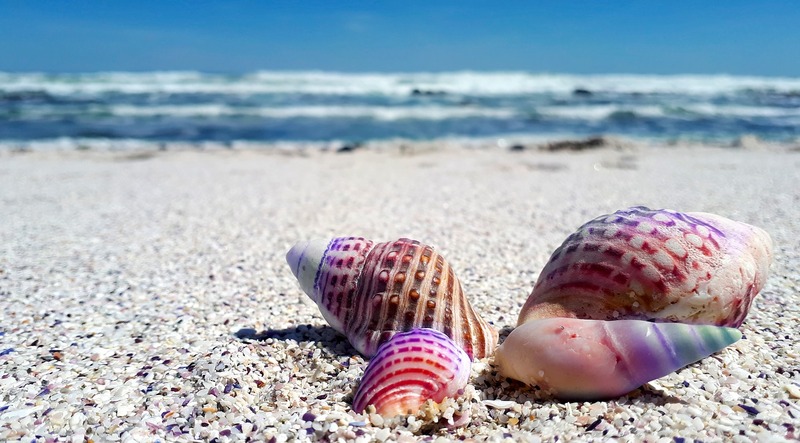 If you have students that like to wander and collect seashells, use that curiosity as a segue into a science lesson about how seashells are made. This video is a great candidate for inclusion in an EDpuzzle lesson in which you add questions and your own clarifying remarks for students. Watch my EDpuzzle tutorial to learn how to add questions to an existing video. 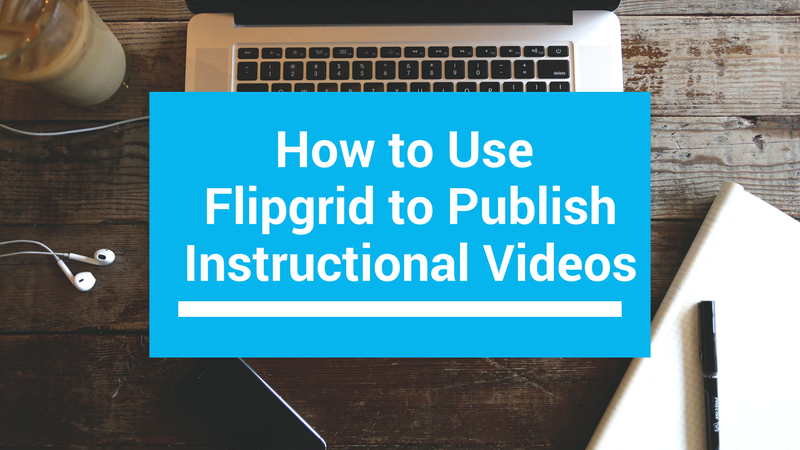 Earlier this week I hosted a webinar about creating and maintaining classroom blogs. One of the topics that I addressed during the webinar was the importance of publishing blog posts on a consistent schedule. Publishing consistently helps your students and their parents know when they should expect to see new entries appearing on your blog. You might not always have time to write on the same day(s) every week, but you can publish on the same day(s) if you use blog scheduling. When you have the time to write more than one blog entry, don't post them at the same time. Instead schedule one to appear at a later time so that you can maintain your consistent publishing schedule. In the following video I demonstrate how you can schedule blog posts in Blogger, Edublogs, and WordPress blogs. By the way, this post appears thanks to the scheduling tool. I wrote it on Tuesday night and it's appearing now on Saturday morning. Meteorology is a science topic that affects all of us whether you like it or not. Look up at the clouds and you're making a science observation. But what exactly are you looking at when you look at the clouds? And what kind of clouds are you seeing? Those questions are answered in a National Weather Service video titled Weather 101: A Tutorial on Cloud Types. The NWS video above mentions the Latin origins of the cloud type names. A better video about the naming of clouds is found in this TED-Ed lesson titled How Did Clouds Get Their Names? As a follow-up to having students watch the videos about clouds, take them outside to try to identify the clouds that they see above them. 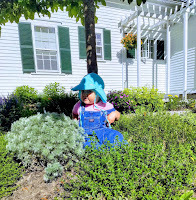 It's a breezy and sunny summer day as I write this blog entry. In other words, it's perfect for laying in the grass and watching the clouds go by. So take your kids outside and do the same. Facebook referral - Here's the Free Technology for Teachers Facebook page. 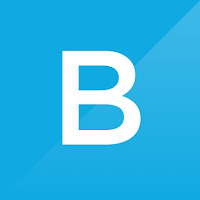 Email referral - Join the daily email list. Twitter referral - Follow me on Twitter. Pinterest referral - Follow my primary board. 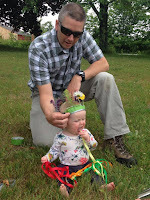 There are other places that I publish online and other ways to to keep up with what I'm doing. The Practical Ed Tech Tip of the Week is the email that send out on Sunday evening. That email contains my favorite tip of the week and a rundown of the most popular posts of the week on Free Technology for Teachers. You can join that mailing list here. I publish a new tutorial or two every week on my YouTube channel. If you're interested in what's going on my life beyond ed tech, you're welcome to follow me on Instagram (it's mostly pictures of my babies, my dogs, and whatever outdoor sport is in season). Vynchronize is a new video discussion platform that I learned about through Larry Ferlazzo's recent This Week in Web 2.0 post. Vynchronize lets you create an online room in which you can watch a video while chatting about it with other viewers at the same time. To use Vynchronize just go to the site, enter your name, and pick a name for your chat room. As soon as you do that your chat room will be launched and you can invite others to join by giving them the URL assigned to your room. Within your room you can play videos from YouTube and Vimeo. To play a video just copy its URL from YouTube or Vimeo and then paste it into the video queue. Chat about the video happens in a side panel on the same page. You can pause, rewind, and fast-forward the video just like you can on YouTube or Vimeo. Vynchronize isn't going to replace full flipped video lesson tools like EDpuzzle but it could be a convenient tool to use for informal discussion about an educational video. 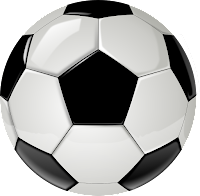 If you watch the World Cup or any other professional soccer game you're bound to see some incredible kicks that make the ball curve through the air. Football Physics: The "Impossible" Free Kick is a TED-Ed lesson that illustrates and explains how soccer players make the ball curve when they kick it on a free kick or a corner kick. 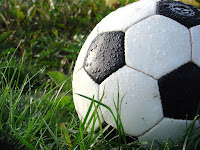 The video also explains how the forces that make a soccer ball curve can also make a thrown baseball curve. The video also answers the question of whether or not it would be possible to make a ball boomerang back to you. The video is embedded below. The full lesson can be seen here. And if you need some help understanding the game of soccer or how the World Cup works, check out the free soccer guide that Common Craft offers. 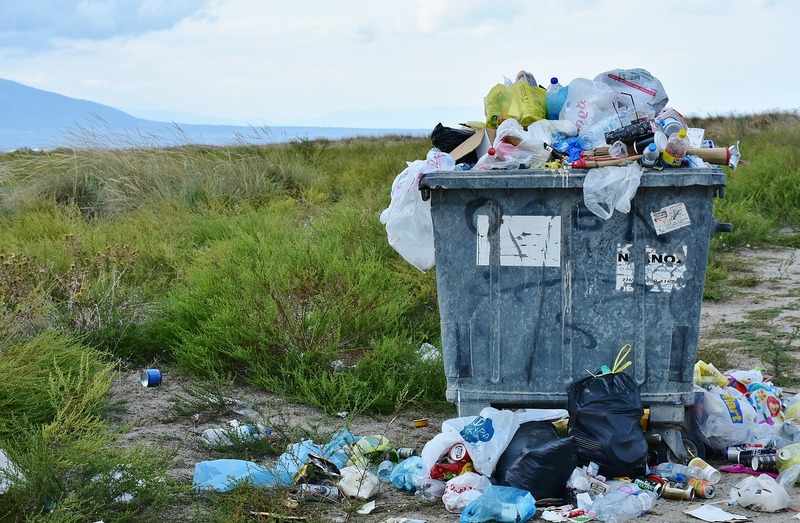 From the top of your coffee cup to the laptop or phone you're using right now, our daily lives are full of plastic. How did we get to this point? How is plastic made? What can be done to reduce the impact of our plastic-infused lives? Those questions and more are addressed in a National Geographic video titled Plastics 101. A couple of months ago Google introduced an easy way to convert old Google Sites to the new version of Google Sites. Availability of that tool has been mixed with some domains having access to it and others not seeing it at all. That's changing this week as Google has announced a full deployment of the Google Sites automatic conversion tool. The conversion tool lets you quickly recreate your existing classic (AKA old version) Google Site in the new version of Google Sites. Watch my video to see how you can convert your classic Google Site to the new version of Google Sites. Just a reminder, the old version of Google Sites is going away. The new version does have some great features that the old version lacked. Thanks to a Tweet from Helen Maddox I found an announcement from the MIT Scratch Team about the new features that will be available in Scratch starting in August. Scratch 3.0 will roll-out as a beta product in August. 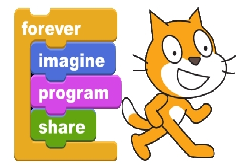 The desktop versions of Scratch will continue to be available and be supported. Any existing projects that you have in the current version of Scratch will continue to exist even after Scratch 3.0 leaves the beta phase. And ScratchJr will still be available for younger students. On Wednesday morning I shared a neat geography quiz that asks students to identify cities by looking at historic maps. In that blog post I suggested having students compare the historic maps shown in the quiz with other historic maps in order to come up with accurate responses on the quiz. Old Maps Online is a good site that your students can use to find historic maps. Old Maps Online is a map that you can browse and search to find historical maps to view online, to download, and to print. You can search the map by entering a location or you can just pan and zoom around the world to find historical maps. In the video embedded below I demonstrate how to use Old Maps Online. Like many Americans, I don't really understand soccer so when the World Cup rolls around every four years I have to refresh my memory about the game. Fortunately for me, as they did four years ago, Common Craft has released an updated guide to understanding the World Cup. Common Craft's Soccer Guide was made for folks like me who aren't well versed in the rules of soccer and the format of the World Cup. The Common Craft Soccer Guide contains twelve chapters about the format of the World Cup and the rules of soccer. Each chapter contains text and animated GIFs demonstrating the key points of each chapter. You can view all of the guide online. The Common Craft Soccer Guide is perfectly timed for the World Cup. After the World Cup the guide could be a good resource for introducing kids to the basics of soccer.